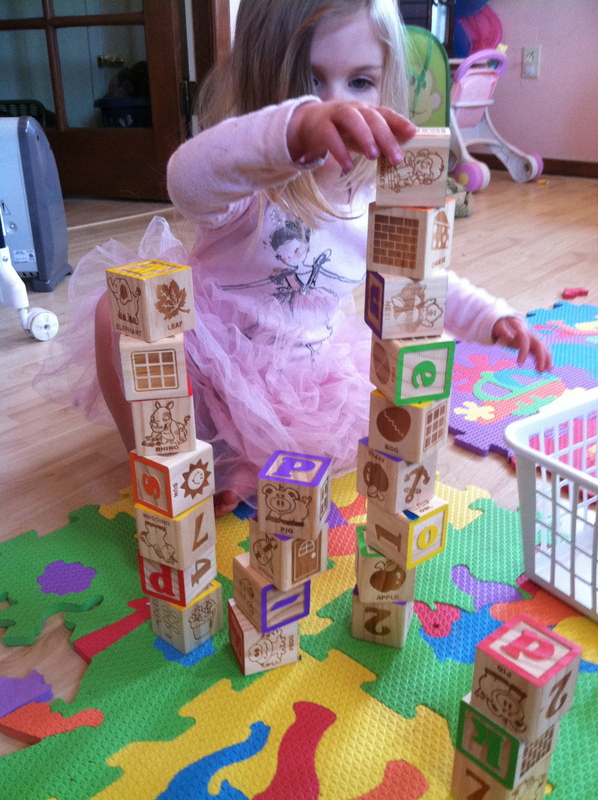 I was watching Tiny-Small build with her blocks today and it struck me, blocks are a metaphor for life. You stack them, they fall down, you start again. How often do we start over in life? Yearly? Daily? With each and every breath?